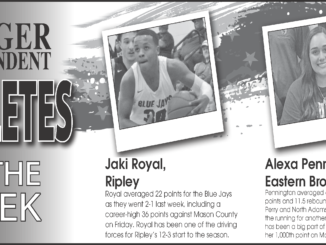 Ripley’s Jaki Royal and Eastern Brown’s Alexa Pennington earned The Ledger Independent’s Athletes of the Week, presented by Maysville Premier Auto. Hear about their week above. 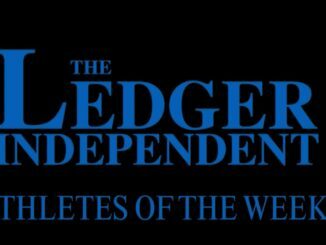 Mason County’s Xylon Frey and Manchester’s Darrington White earned The Ledger Independent’s Athletes of the Week, presented by Maysville Premier Auto. Hear about their week above. Robertson County’s Justin Becker and Bracken County’s Kennedy Carl earned The Ledger Independent’s Athletes of the Week, presented by Maysville Premier Auto. Hear about their week above. Lewis County’s Sam O’Keefe and St. Patrick’s Justina Klee earned The Ledger Independent’s Athletes of the Week, presented by Maysville Premier Auto. Hear about their week above. 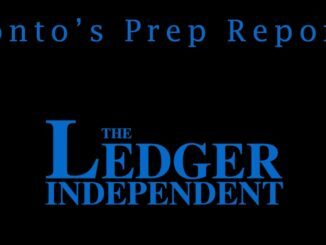 Lewis County’s Garrett Applegate and Mason County’s Paige Decker earned The Ledger Independent’s Athletes of the Week, presented by Maysville Premier Auto. Hear about their week above.